Although some detail is provided here about Houston Independent School Board dysfunction, there's clearly this deeper context that has contributed to the current situation in which trustees find themselves. It's concerning that, as mentioned, the Texas Education Commissioner Mike Morath "has had legal authority to replace the district’s school board since September 2017." Possible violations of the Open Meetings Act that resulted in the abrupt termination of former interim Superintendent Grenita Lathan are also at play. In the background are concerns about a projected $76 million budget deficit in 2019-20. that equates to around 4 percent of the district’s total spending. How toxic. This is why board development is so essential. These folks either need to get voted out and/or need serious mediation or I fear that the state will step in and take them over. Ideally, leadership would be a united front in the other direction of advocating for greater funding support and equity in school finance. They should be allied, for example, with the the Texas State Teachers Association (TSTA) and the Houston Federation of Teachers (HFT) and advocate for higher teacher salaries while shunning the widely-discredited policy agenda for standardized-test-based, merit-based pay system (see Loeb, et al. , The State Role in Teacher Compensation). This latter proposal, supported by Gov. Greg Abbott and House Speaker Dennis Bonnen, is not only flawed, riddled with issues of measurement while pitting teachers against each other and incentivizing teaching to the test, it also represents a band aid and about face to what all Texas teachers deserve just to make a decent living. 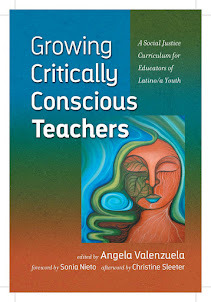 Plus, ample research supports the idea that paying teachers well is key to districts being able to recruit and retain high-quality staff (e.g., Loeb, et al., 2009; Murnane & Olsen 1989). What an incredible opportunity cost for the HISD board—or any board, for that matter, to not run with the data and advocate for our schools and children. And the schools, parents and most especially, the children, pay the price for all of this dysfunction. And the neoliberal agenda to privatize schooling waits in the wings with bated breath, poised to capitalize on this situation and win. Let's not let this happen to one of the largest school districts in the nation. Jacob Carpenter Feb. 2, 2019 Updated: Feb. 2, 2019 6:30 p.m.
Three days after the stunning ouster of Houston ISD Interim Superintendent Grenita Lathan in mid-October, an unexpected move that further divided the already-fractured school board, district leaders gathered for training on how to govern. The intervention-style airing of grievances, captured on video and reported here for the first time, culminated with Trustee Wanda Adams standing up and yelling at Trustee Elizabeth Santos, angry that board members did not defend her after she received threats while serving as board president in 2017. “Did y’all come to my defense? 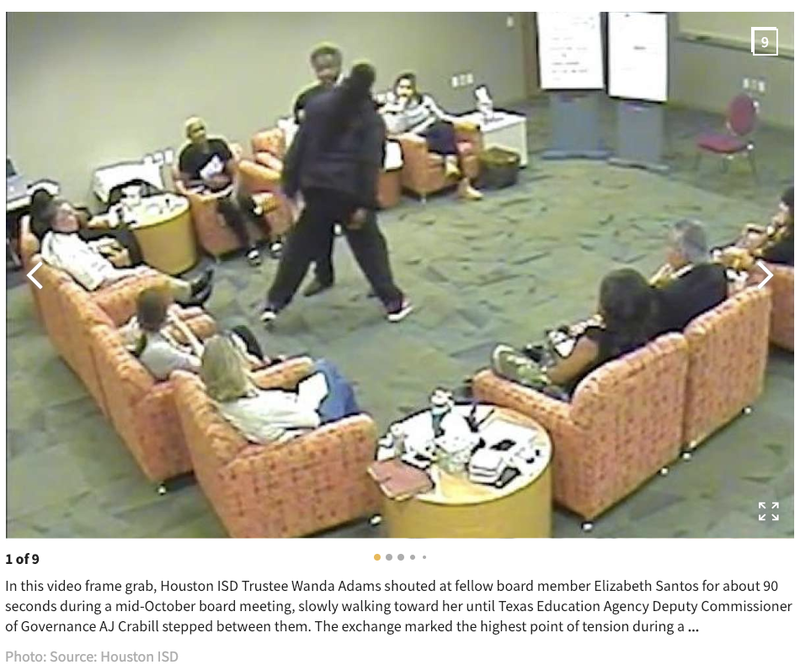 Hell no,” Adams shouted as she slowly walked toward Santos, prompting a top Texas Education Agency official in the room to position himself between the two trustees. “So, you want to know how I felt last year? I was quiet the whole year. So, don’t come up here crying ‘woe is me’ when people came to my house, attacked me.” Continue reading here.